This embroidery was done a few years ago. The fabric-Grayish brown mercerized cotton,the salwar[Indian pants] red handloom cotton.both are plain fabrics. Pattern- very simple floral pattern. At that time I was quite fond of these patterns. 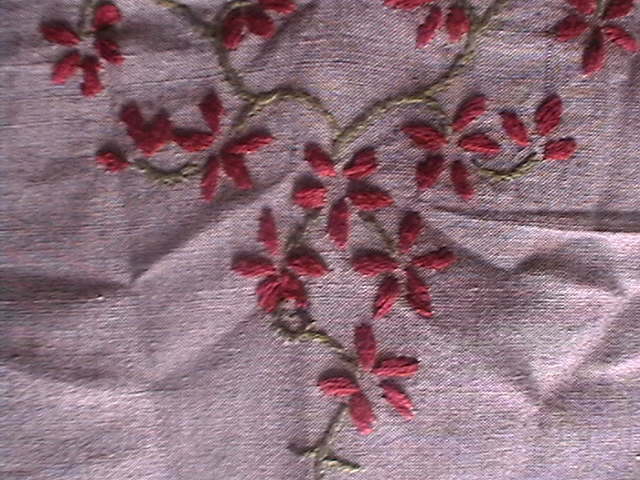 Embroidery- stem stitch for the veins and satin stitch for the flowers.the whole thing was done with three strands of cotton skein. I had adopted this particular floral [satin] for a few of my yokes. when I wanted to draw a paisley pattern, I even filled it up with this flowers. Easy to work,and looks nice too. 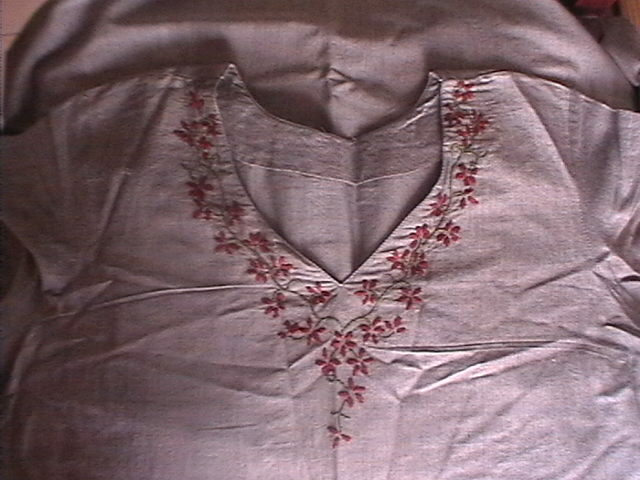 I did the same flowers on this pink tunic too.